For an all-American hip hop look, this premium American twill urban cap has it all. It comes with dual plastic snap closure fastening for extra fit, a structured 6-panel design, a mesh back, and a flat peak that features a snap back pro sticker. It will retain its shape and sit higher when compared to the low profile caps. The cap is meant for adults and it is light and comfortable to wear. The cap is made of high-quality Premium American Twill and the cap will not collapse easily or get deformed. Trendy design it will suit music industries and marketing events, concerts and youth-oriented organisations. Your logo can be embroidered on the front crown or peak of the cap. All products include 8k stitch count embroidery as standard. Pat printing and silk printing options are also available. This embroidered or custom printed cap is perfect as branded merchandise for sale. Artwork for the cap has to be supplied in eps, pdf or high-resolution jpeg. 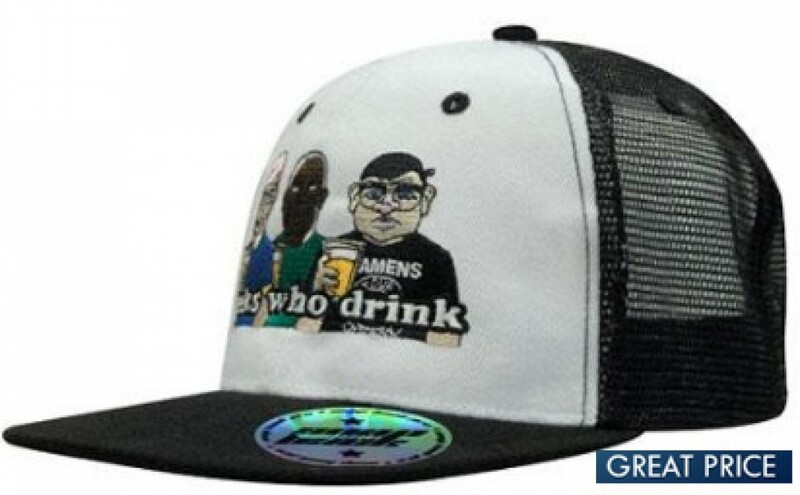 We can provide a free artwork mock-up to illustrate your design on the cap. The price excludes GST and delivery. It is stocked in Australia for fast 1-week delivery.